The N.C. Chronicles. : The psychopathic elite and the sheeples. "With the psychopathy and lack of regard for human life that is demonstrated by governments across the world, along with the technology at their disposal, it is feasible that governments may one day attempt such dramatic display of political theatre, that a deadly and terminal mistake will be made which will condemn the human species to extinction..."
It's not hard to see this go about, one of the reason this will happen is the so call elite, those who tell us and actually believe they are our better. If you look deeply at their behaviour, one will see the same weakness and strengths the rest of us have, they are no better than you and me, yet they spend money and effort to point out that we need them, otherwise life would end without them. The elitist totally depends on what is now known by those of us who are on the path to the next evolution of humanity as sheeples. There is still enough of them to jeopardise our existence on this world. We can try to debate or make them understand, wars cause death, destruction, disease, hunger, and that eventually, this will reach us also, it is inevitable, but intellectually, we would be loosing our time. We can point out divided families destroys societies and eventually, nations, but the sheeple will still accept and follow the wolf to his cave for protection against the rest of the pack(does that make sense to anyone?). We can expose corruption, greed, fall of freedoms, yet the only response we get is "duh!, but they are our betters" from the sheeple or if you happen to make a viable point and expose what is basically corruption and abusive behaviour on the part of those who are supposed to "serve us", you risk such a backlash that it usually overwhelms you. I'm writing this because of what I went through the past year, the false accusations, the idiotic things that was said which any "sane person" would sweep away, the realisation that if one dares to oppose the established, corrupt, "self presumed elitist" your in for one hell of a wake up call. I went on the assumption idiotic statements would be recognized and dealt with accordingly, was I ever shocked when they where actually used to try to shut this site down. And in order to hide what they where doing they simply asked for a publication ban, actually if I where to make such idiotic claims so would I. The thing is, as we try to make things right, fight for justice, we eventually find out, a few are there to help, but more are there to help themselves to what is not theirs. The same goes for politics, they pass themselves off as the better of us, but their behaviour simply makes us shake our heads and wonder where these people come from. All of them are rich, therefore automatically impose their will on the rest of us, because they believe they have that right. They have caused wars which none of them would ever fight, or participate in and neither would their kids. 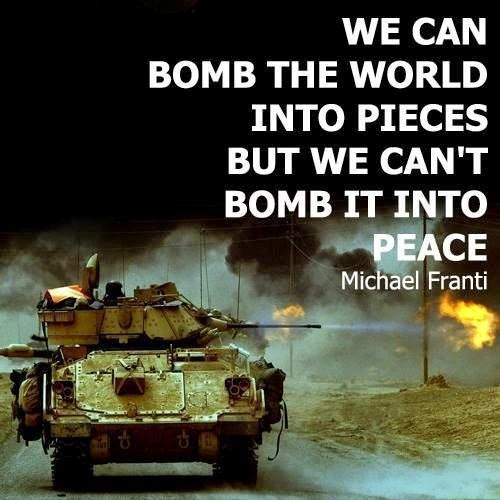 They seem to be to dumb to realise the more they cause these wars, the worse it's getting. The thing I have realised is...there is no elite, or those who are smarter than us, anyone has the capacity to be who they are, we all have the same biology, the same capability to be smart or dumb, rich or poor, they are not our betters, they just happened to be at the right place at the right time, better opportunities, or whatever the roll of the dice, game of chance was at the time. When we realise we are all the same, humanity will evolve to a better understanding of what we are really capable of, but first we have to rid ourselves of the belief that some are better than us, they are not. The greatest power the elite can have is not their money, but to make you believe they are better than you, when they do this, and when you accept it, you become their...sheeples. And that is what causes wars, diseases, hunger, greed and corruption. The fool, aka the elitist, cannot have power, cause pain to others if he or she has no followers, he or she is just another idiot to push aside as we evolve on our way to a better world. The best way to avoid wars has always been to live according to moral values, to show a better way, to help those who need our help without taking from them their respect, or in the case of today's world, oil and pipelines. No one wants war if they are respected, no wars exists if we mind our own business and let people of different nation know their way is best for them if they so chose. To impose our way of life on those who live differently invites conflicts. Who are we to judge and rule over them when we can't even rule ourselves. So, those who love the life of been told what to do, and have no independent thought will always look to others for guidance, those of us who are realising things cannot stay the same and shake our heads at stupidity, should go on our way and create what was meant to be and let the fool die off... hopefully without destroying Mother Earth in the process. This is now our world, let's make the best of it. We can't do any worse. Every revolution that came to pass was always because the elitist believed his or her power was unchallengeable, that they where safe behind their illusion of power and control. Till reality slaps them upside the head, that they where never special to begin with and illusions is never real.